TFW2005 member D-Drive has just sent us over the latest Diamond Comics shipping list for October 21st. 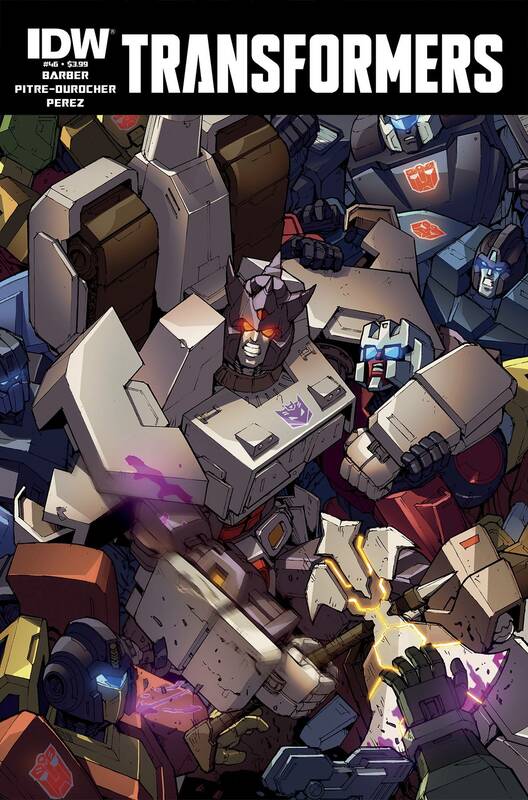 Transformers #46 will hit the stands next week along with the 8th volume of More Than Meets The Eye comic collecting issues 39-44. CONQUERORS part 1! OPTIMUS PRIME struggles to find his place on CYBERTRON where half the population hates him and the other half worships him. Meanwhile, on Earth, GALVATRON doesn’t care what anybody thinks. * A new story arc that will have deep-reaching ramifications for TRANSFORMERS. * The countdown to issue 50 begins here! * Part of IDW’s Artist’s Edition Month promotion! MTMTE Volume 8, here I come!